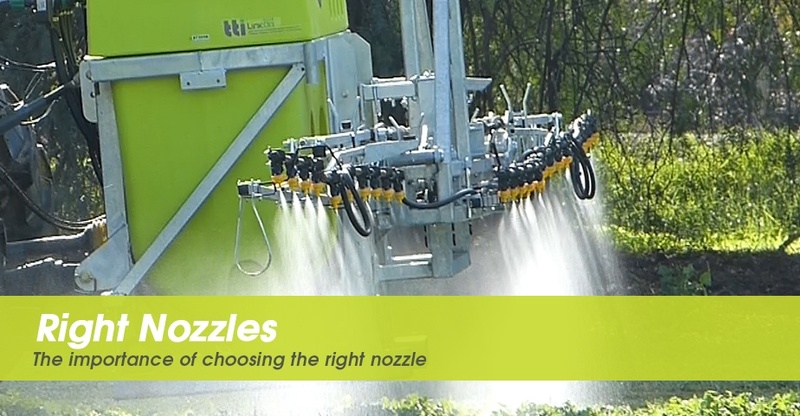 Choosing the right nozzle for your sprayer can be a challenge, and almost every farmer or spray contractor would agree! Nozzles are arguably the most important part of your sprayer. They determine to a large degree the effectiveness of the chemical you are spraying, the overall satisfaction the applicator receives from an application and the amount of drift. The good news is that there is a huge amount of useful information available to help you make the right choice. So, how do you make sure you are choosing the right nozzle for your application? Ie Herbicides, pesticides, fungicides, insecticides etc. Broadcast? Banded? Directed? Mechanical air assisted? What is your tolerance to drift? Are you spraying near or alongside another crop? Do the adjacent crops have different herbicide tolerant genetics and/or will spray drift result in crop damage? Have you had complaints about drift in the past? Will you be spraying near any residential areas? What is the pressure range of the sprayer? What is the boom height? Lower boom heights are usually better as proper overlap of the nozzles is achieved. Lower boom heights reduce drift and improve coverage.